I want to send a BIG THANK YOU to your entire team! Whenever we have any housekeeping issues here in the shipping/receiving area or out of the ordinary situations,your team is always immediately on top of things. I know in these jobs we all hear when things are not going well, but I wanted to share how much it means for your help every day! All of your Team Members are so friendly and helpful whenever we ask anything of them! Keep up the good work, and please know this helps us to be better at moving and shipping the product to keep our customers happy! Thank you so much for the feedback, Wendy. 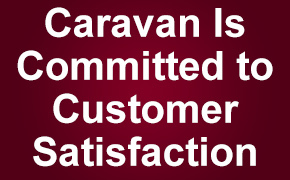 We are committed to customer satisfaction. I am very impressed with the way the floors were cleaned on days on Friday May 9th. Glenda Fennell was asked to come out and clean/scrub the floors in a small area so that we could move some scrap coordinators in that area. She was quick, happy to help and energetic. She always has a smile on her face and always happy to help whenever needed. I wish all my floors could be that clean. Thanks. Thank you for your feedback Kim, we appreciate hearing about the outstanding job our employees do. Great job Glenda!! !